Arnell Ignacio is proud to receive his college diploma at the age of 55. He is now an alumnus of the University of Makati. Arnell Ignacio, 55, celebrates a milestone today, April 11, 2019. 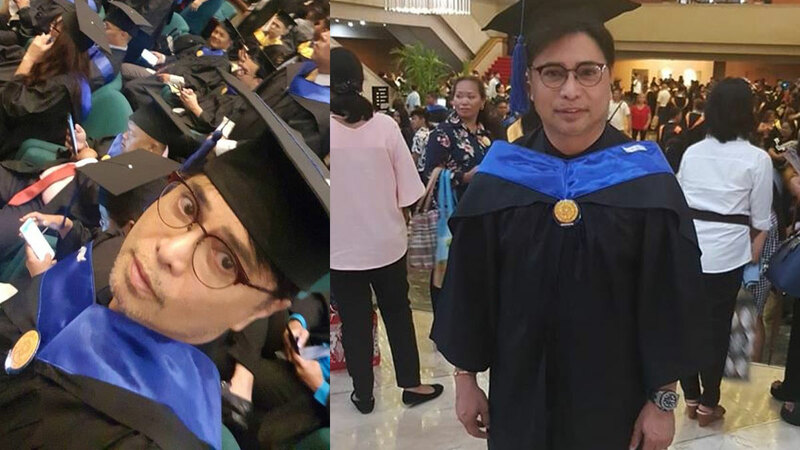 Finally, 38 years since his high school graduation, he earned his bachelor’s degree in Political Science, with a major in Local Government Administration, from the University of Makati. The commencement ceremonies took place earlier at the Philippine International Convention Center. On Facebook, he thanked Dean Ederson Delos Trino Tapia of the College of Governance and Public Policy. In the 1980s, Arnell studied at the University of the Philippines College of Music, major in composition and conducting. He was then part of the Philippine Madrigal Singers, and also joined Repertory Philippines. He was a theater actor before becoming a popular television host. In February 2019, he resigned from his post as deputy executive director V of Overseas Workers Welfare Administration (OWWA).